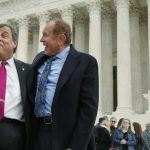 New Jersey has been trying to legalize sports betting at its horse racetracks and Atlantic City casinos since 2011, and over the last 12 months, those efforts edged much closer to paying off after the US Supreme Court decided to hear the state’s case. During a ballot referendum six years ago, New Jersey voters overwhelmingly approved a state constitutional amendment to authorize sportsbooks, 64 percent to 36 percent. But after Gov. 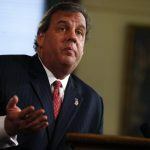 Chris Christie (R) signed a sports betting measure into law the following year, the NCAA, along with the NFL, NBA, NHL, and Major League Baseball stepped in and sued the state on grounds that the Professional and Amateur Sports Protection Act (PASPA) overrode state law. Courts have repeatedly agreed with the NCAA et al, which led New Jersey lawmakers to pursue a craftier legal route. In 2014, New Jersey and Christie passed a new law that repealed its own prohibition on sports betting at its racetracks and casinos, which led to another lawsuit by the NCAA challenging the statute’s constitutionality. 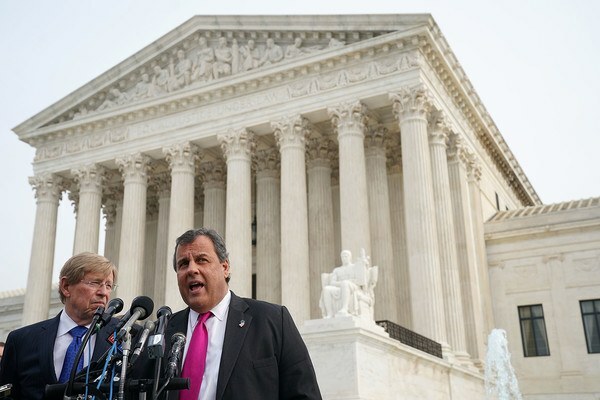 Appellate courts concurred with the NCAA, so New Jersey petitioned the US Supreme Court. And in a rather shocking move, the court announced in June that it was agreeing to review the case challenging PASPA. On Dec. 4, attorneys representing New Jersey delivered their arguments to the nine sitting justices as to why the state should be allowed to repeal its own prohibitions, which effectively would void PASPA. Former US Solicitor General Ted Olson said PASPA violates the Constitution on grounds that the current sports betting prohibition forces the federal government to “commandeer” states in violation of the 10th Amendment. Olson argued that if New Jersey wishes to repeal a prohibition placed by the federal government, and the state’s new law doesn’t violate powers explicitly reserved to Congress under the US Constitution, Washington politicians cannot override the law. New Jersey’s argument also includes the fact that PASPA mandates states embrace a law that the federal government itself doesn’t fully enforce. The sports betting ban provided immunities to four states, Nevada, Oregon, Delaware, and Montana, as those jurisdictions had some sort of legalized sports gambling at the time. The defendants’ voice, represented by another former US solicitor general, Paul Clement, argued that federal law supersedes state law when they contradict each other. He also said PASPA is a preemptive measure. 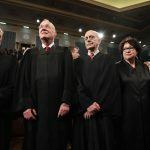 By nearly all accounts, the Supreme Court hearing earlier this month went in favor of New Jersey. Six of the nine justices voiced concerns over whether PASPA indeed violates anti-commandeering laws under the US Constitution. Gaming analysts are predicting a 6-3 ruling when the Supreme Court issues its verdict. The judgement is expected to be handed down sometime before June 2018. 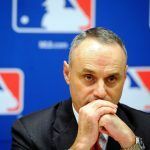 Should PASPA be repealed, as many as 20 states would likely legalize sports gambling by 2025, and creating gross gaming revenue of more than $6 billion.